Go green! 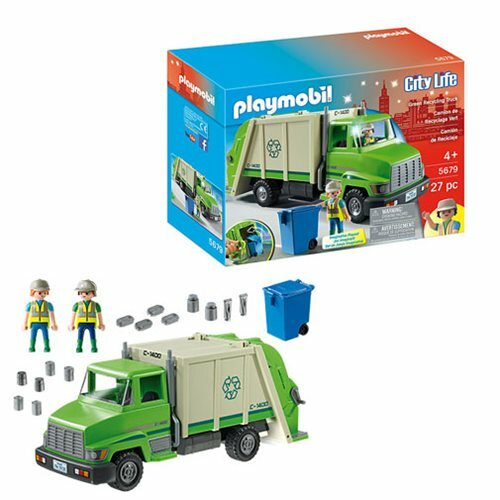 Playmobil's recycling truck has it all - including discarded items, two drivers, a lift, a recycling bin, and rolling wheels. You can seat the figures inside or have them ride on the back of this nifty vehicle. Ages 4 and up.